Cuttack: Larger than life, Imperial Blue Superhit Nights Season 4 has indeed been a storehouse of entertainment, dynamism and grandeur. The grand musical series engaged the audience in its magic and enigma on a larger scale this season. Cuttackwitnesseda‘captivating musical night’ as season 4 of Imperial Blue Superhit Nights culminated in the city with an enthralling performance by Farhan Live.India’s most-loved rock star, Farhan Akhtar and his band took over the stage at Balijatra, Upper Ground, Cuttackand mesmerised the audience with his biggest hits. The event saw a power packed full house who tapped their feet to Farhan Akhtar’s superhit numbers all through the concert. Setting the stage on fire with his energy and bewitching charm, Farhan Akhtar was accompanied by a troupe of talented and skilful musicians. Marking the magical tone of the night, Farhan began with the popular song ‘PichleSaat Dino’. 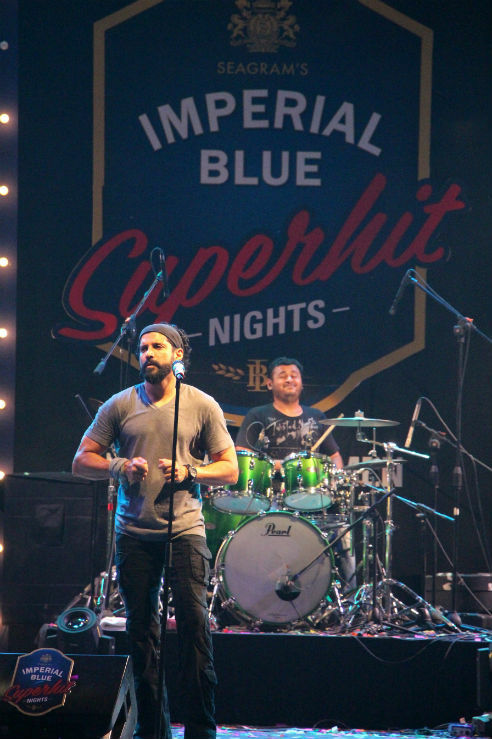 As Farhan Live performed their chart topping numbers like ‘Socha Hai’, ‘Main AisaKyunHoon’ , ‘Senorita’ and, they enthralled the city at the glorious musical feast. The enthusiasm of the crowd reached its peak as the band performed some of Farhan’s most popular songs including ‘DilChahta Hai’ and ‘HavanKund’.As the show ended with the famous chartbuster ‘Rock On’, it was quite a spectacle to see Farhan Akhtar win the hearts of his fans who showered him with their love and cheer. Farhan Akhtar, said, “Being on tour is every performer’s dream! Imperial Blue Superhit Nights Season 4 has been incredible and we have got a phenomenal response across cities and I am pleased to have been a part of it”.